Learning & Understanding The Vocabulary of Any Language Has Never Been So EASY and RELAXING ! VocaStick Uses The Power of Subliminal Learning To Make Words 'STICK' In Your Mind For Good ! Are you trying to learn or understand a new foreign language but feeling stuck with the words and the vocabulary? When reading foreign books, newspapers, or articles, do you have to search 10 times just to understand the definition of the same word over and over again? Luckily for you, now there's a unique app that makes this entire learning process not only much easier for you, but also makes words and their vocabulary STICK in your mind much easier! Thanks to the revolutionary new vocabulary app, VocaStick, you can quickly and easily learn the vocabulary of any foreign language through the power of Subliminal Learning! This breakthrough app requires NO Internet connection and it comes loaded with over 50,000+ words in just about every language! You'll begin the process with the most popular words first, and then progress to less frequent used words. VocaStick does everything for you! This way you'll always get the words you need just like in real life situations! You can quickly learn the reading and pronunciations of any words, in just about any language. 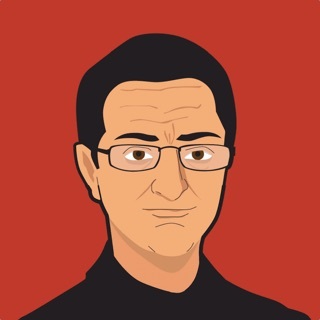 Thanks to VocaStick's advanced Subliminal Learning techniques, you can sit back, relax and LEARN automatically. You can even let the Subliminal Learning sessions run while you're sleeping, walking, driving or even cooking your favorite meal at home! You'll be amazed at how this form of learning the vocabulary of a new language will put you on the "Fast Track" to learning and word retention! 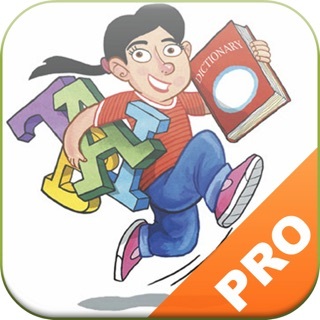 ● Enjoy fun vocabulary challenges and quizzes and compare your scores with your own friends! You can even compete with other people across the globe as well! ● Measure your progress at any time thanks to VocaStick's handy visual reporting feature. This will help you track how well you're doing, and help you learn much faster! ● Choose from over 30+ of some of the world's most popular languages that range from • English • Arabic • Chinese • Traditional Chinese • Czech • Danish • Dutch • Tagalog • Finnish • French • German • Greek • Hebrew • Hindi • Hungarian • Indonesian • Italian • Japanese • Korean • Norwegian • Polish • Portuguese • Romanian • Russian • Slovak • Spanish • Swedish • Thai • Turkish • Ukrainian • Vietnamese, and many more! You can even study the vocabulary of up to 3 languages at the same time if you wish! ● 3 levels that you can easily choose from including: Beginner, Intermediate and Advanced! ● Enjoy over 50,000 vocabulary words PER language! This is much more than the competition who usually only averages 6000 words per selected language! ● Choose from very short sessions that last only 2-5 minutes each. This way you can learn at your own speed, and on your very own time schedule! This is a really great app for building vocabulary in the language you want to learn. In the practice section, it lets you choose the words you don’t know yet and helps you practice them in a quick and easy way. It also reviews words you’ve already learned so you don’t forget them. The best feature is the subliminal learning, but it needs some improvements. In subliminal learning, it plays all the words you’ve learned with the app with their English definitions. I love to play this in the car, before bed, or while I’m cleaning. However, there’s no way to play the words in a loop, or choose the words that you want to play. Also, it has a feature to play “latest words” but even when I have this checked it plays words that I selected as “already know” in the practice section. I’d like it to play maybe 10 words in a loop and it can’t do that. The last update that I would love to see added is the feature that lets you add your own words that you want to learn. Currently, you can only add the word by entering the English definition. There are some words in Spanish that I want to review but I can’t look them up in Spanish. I’ve tried looking them up in English, but you can only look up one English word. So if I want to add the word “aprovecharse” which means take advantage of, I can’t because the English definition has more than 1 word. I would totally pay for this app after the free trial if these improvements are made. Use this app to enhance my English and I like how it works. Easy to use and entertaining it helps me to remember words by repeating them. The process of learning can be fun and effective with this app. Just using this app and feel it is so far so good. 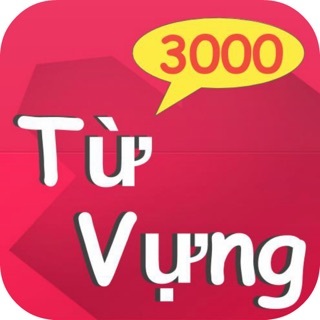 It help me to learn new words in Vietnamese in a simple and easy. I really enjoy it so far.